Hood River, Or – Located in the heartland of hops, every year the Full Sail brewers wait with thirsty anticipation for hop harvest and the chance to celebrate by brewing fresh hop beers. When the hops are at their peak, the Full Sail brewers truck out to the hop fields to collect the aromatic bounty. These seasonal wonders will go from field to brew kettle within a matter of hours and the magic begins. This year, Full Sail celebrates the season’s first hops with Hopfenfrisch, a Pilsner style lager, showcasing the Perle hop variety. "This beer highlights the brewer’s art as well as nature’s gift,” said Full Sail Executive Brewmaster, Jamie Emmerson. The hops were locally grown at Sodbuster’s Hop Farm, which is a Salmon Safe certified hop grower. 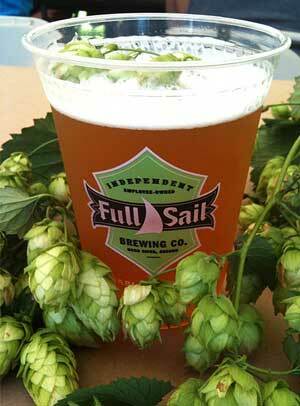 Full Sail's Fresh Hop beers are a veritable hop lover’s delight. The tiny lupulin glands inside the hop flowers, packed with sticky resins and essential oils, provide all that wonderful bitterness, flavor and aroma. These beers are all about hops; wet hopped, kettle hopped, hop back hopped, and dry hopped in the fermenter with 150 pounds of hops per batch. That’s 7.5 pounds of hops per barrel! Most products this fresh last only a short time. Please enjoy while you can. The independent and employee-owned Full Sail Brewery is perched on a bluff in Hood River, Oregon, overlooking the most epic wind and kite surfing spot in the world. At this very moment our specialists in the liquid refreshment arts are crafting barley and hops into your next beer. Among the company’s most popular brews are Full Sail Amber, IPA, Pale, LTD, Wassail, Session Premium, Session Black, and Session Fest lager. Founded in 1987, the Full Sail crew has been fermenting godlike nectar for 25 years. Committed to brewing great beer and sustainable practices their award winning brews are now available in 29 states. The Full Sail Tasting Room and Pub is open seven days a week. Swing by for a pint, grab a bite, tour the brewery, or just soak up the view. 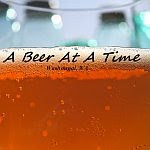 Visit us online at http://www.fullsailbrewing.com or on Facebook and Twitter. About Salmon-Safe: Founded by Pacific Rivers Council, Salmon-Safe is one of the nation's leading regional eco labels with more than 80,000 acres of farm and urban lands certified in Oregon, Washington, California, and British Columbia. Salmon-Safe works across the West Coast through a Partner Network of place-based conservation organizations as well as collaborating certification organizations. Salmon-Safe began working with Oregon hop growers after a decade-long focus on transitioning vineyards to Salmon-Safe practices that has resulted in the certification of more than 250 vineyards, including nearly half of the Willamette Valley's wine grape acreage. For hops growers, Salmon-Safe certification requires phasing out harmful pesticides, minimizing erosion and runoff, restoring streams, and promoting wildlife habitat.